David Thompson is renowned as a world authority on Thai food. His restaurants, Darley Street and Sailors Thai (opened in Sydney in 1992 and 1995 respectively) have been well regarded and great business successes. In 2001 he was asked by Christina Ong to open a restaurant at the Halkin Hotel in London. It opened to immediate critical acclaim and was awarded a Michelin star within six months. 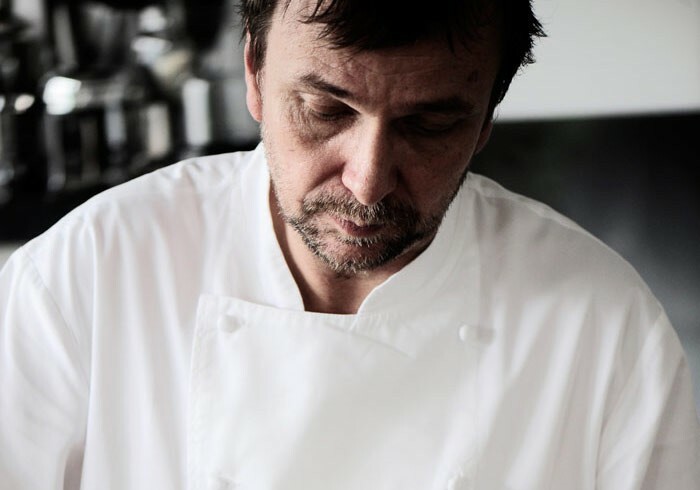 David was awarded ‘Professional of the Year’ by the Sydney Morning Herald Good Food Guide in 2001, and in 2003 he was award ‘London Chef of the Year’ at the Carlton Evening Standard Food Awards. His book, Thai Food has been awarded with every major cook book award in the years following its publication in 2003 and sales continue to perform well in sixth year. In September 2010, David opened nahm at the Metropolitan to both acclaim and controversy. A few months later, David’s third book, Thai Street Food was published in the US by Ten Speed Press. And in February 2011, nahm in the UK was among the top 100 restaurants in the San Pellegrino Awards.